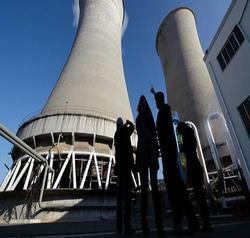 Our company is master in providing Power Plant Maintenance Service. 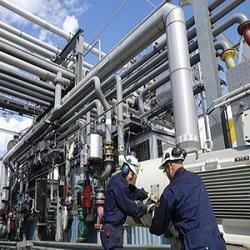 Having years of experience of this domain, we are engaged in providing Power Plant Maintenance Service. We offer wide services of Consultancy Services for power plants. These services include installation and repairing of different power systems in the plants and we offer them in accordance with the global quality standards. We offer our customers Hydro Power Plant Repairing Services. Our company is committed to offer environmental friendly products to maintain pollution free environment. Apart from this, we also render Hydro Power Plant Repairing Services for complete Water Treatment. Specialist Power Engineering Services Pvt. Ltd.
Banking on the skills of our qualified team of professionals, we are involved in providing Steel Plant Maintenance Service. To match the requirements of the customers, we are involved in providing Thermal Power Maintenance Plant Service. This Thermal Power Plant Maintenance Service is offered by us to customers as per their specific requirements and needs. The Thermal Power Plant Maintenance Service is offered by us to clients at nominal price. Roadmap solutions enable cost-effective, preventive and risk-based maintenance. Gupta Industrial Maintenance Services Pvt. Ltd.
Our company is highly esteemed in offering Operation & Maintenance. We are giving services for O&M of Thermal Power Plant, Repairing ( Special class IBR contractor), Modification, Erection & Commissioning of Thermal Power Plant and its auxiliaries, Consulting, Designing, Project management, Shutdown Maintenance, Conditioning Monitoring, Energy Auditing etc.